Reigning manufacturer's champions Kawasaki Racing Team WorldSBK will once again continue with the support of Motocard, with a new deal meaning their partnership will continue for a further two seasons. With more than 30 years in the motorcycle distribution field, Motocard have spent more than a decade of that time as proud partners to the official Kawasaki Racing Team, dating back to the FIM Supersport World Championship with Spanish rider, Joan Lascorz, who achieved a top three in the championship with the team. The collaboration has seen various successes, from early WorldSSP wins to Jonathan Rea's four successive World Championships in the World Superbike category. As well as this record-breaking achievement, Kawasaki as a manufacturer and indeed Kawasaki Racing Team WorldSBK as a team have been number one for the past four years. 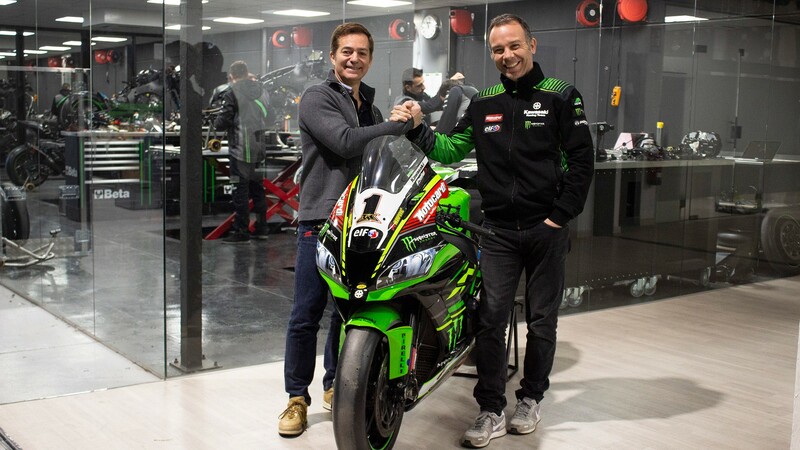 Kawasaki Racing Team WorldSBK manager, Guim Roda, also stated his delight at the renewal and likewise looks forward to the forthcoming seasons with the continuation of Motocard support: “The Provec story would not be the same without Motocard. The founder family believed in the internationalisation of the brand through the Supersport World Championship first and with the opportunity of KRT link in WorldSBK afterwards”. “For 2019 a new stage of expansion in Europe was opened for Motocard. The new staff that joined the Motocard project continue to believe in the importance of the Motocard, KRT, Kawasaki relationship. I want to thank Tony Batlló very much. He has just joined Motocard yet his vision and understanding of the brand ensures that we are very happy and proud to renew our association for two more years. We hope to meet our joint expectations in this new stage of the growth of Motocard. " The race season starts in just under two weeks at Phillip Island, where the partnership of Motocard and Kawasaki Racing Team WorldSBK will look to be the dominant force once again. Kawasaki have won five of the last eight races at Phillip Island and will seek to start their season in fine style once again. You can enjoy all of the excitement and drama of the 2019 Motul FIM Superbike World Championship season with the WorldSBK VideoPass!